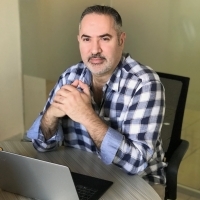 Nikolas Kairinos is an accomplished Senior Executive, Thought Leader and Board Member with more than 30 years of success across the technology, IT, software, real estate, and investment management industries. Leveraging extensive experience doing artificial intelligence integration for companies, he is a valuable advisor for an organization going through a technological transformation. His broad areas of expertise include entrepreneurship, growth, blockchain, organizational leadership, algorithms, big data, intellectual property, and software development. Throughout his executive career, Nikolas has held leadership positions with Fountech.ai, BrilliSoft, NML Capital Limited, Soffos.ai, DinaBite, and Prospex. Have An Idea For An App? Here’s How To Turn Your Vision In..
I’ve been working with tech start-ups for many years now, and aspiring entrepreneurs always .. I recently published an article entitled “Have an idea for an app? Here’s how to turn ..
Technology That Teaches Itself How To Learn Will Shape The.. When imparting knowledge to human beings, any professional in the field of education knows that th..